It’s been awhile. My computer contracted some sort of virus, and I really haven’t been cooking very much. But now I’m back and that’s all that matters. I know you’ve all been waiting patiently. 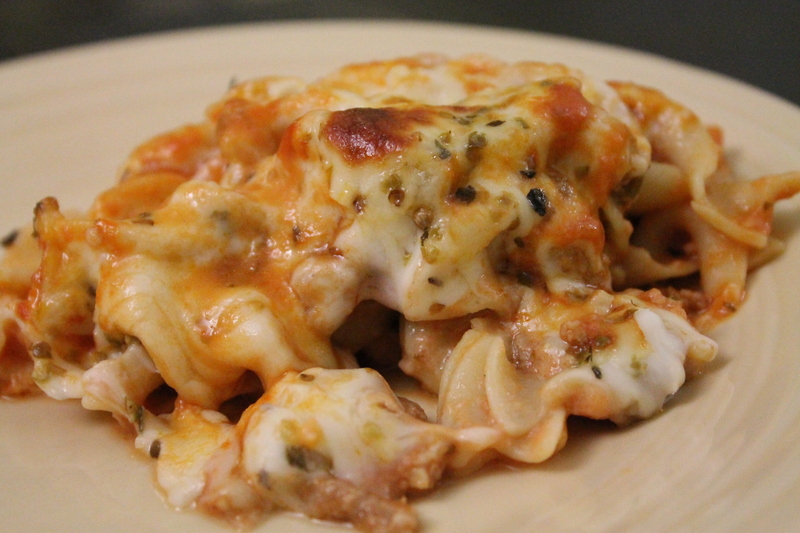 I made this Cheese Lovers Pasta Roll-Up recipe sometime in the last 2 weeks. I ripped it from a Kraft Food & Family magazine several years ago. I loved that magazine – when it was free. Anyway, the ingredients are simple, and it was relatively easy to make. The whole family loved it, so I will be trying this one again. The cottage cheese filling is lasagna-like and yummy. Side note, my 5 year old refers to cottage cheese as curds & whey. The curds and whey filling was amazingly creamy. I omitted the green onions because I didn’t want to go to the grocery store. And I discovered that I didn’t have parmesan cheese after I started cooking. So, I did something totally crazy and used mozzarella cheese instead. I know how to have a good time. Sorry. No after picture on this one. We were all so hungry that it was devoured straight out of the oven. This one is staying in the recipe box. For sure. I love baking. Sweets are my favorite, but bread is a close second. Usually it comes out good, but there are times when the dough doesn’t rise like it should. What a let down. This recipe was super duper easy to follow, and it came out great! It rose like no other bread I’ve made has risen before. Maybe that’s because it 2 packages of yeast. Or maybe I’m just getting better at this cooking/baking thing. Let’s pretend I’m getting better. 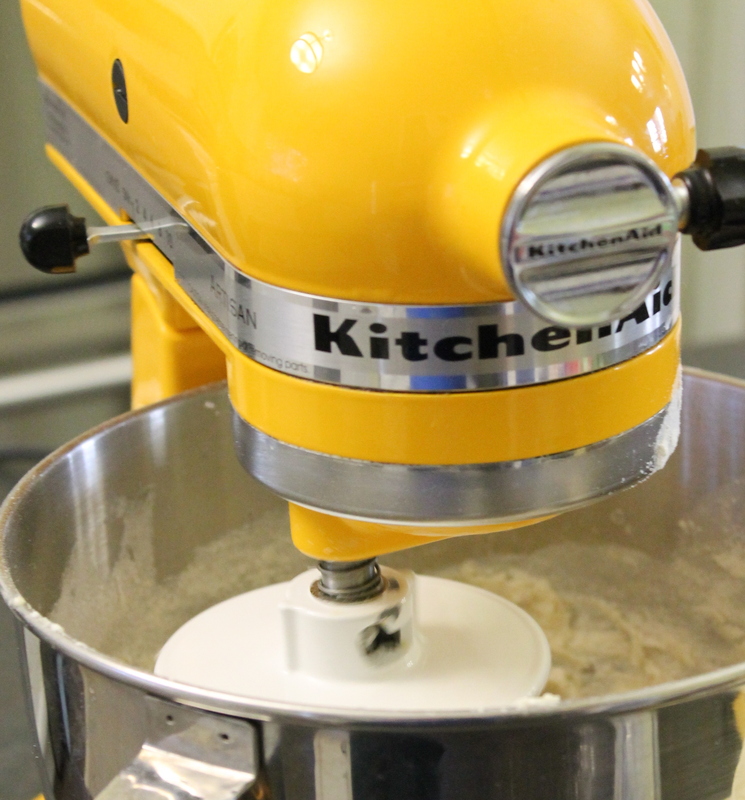 I used my trusty KitchenAid mixer to mix and knead the dough. Why do it the hard way? 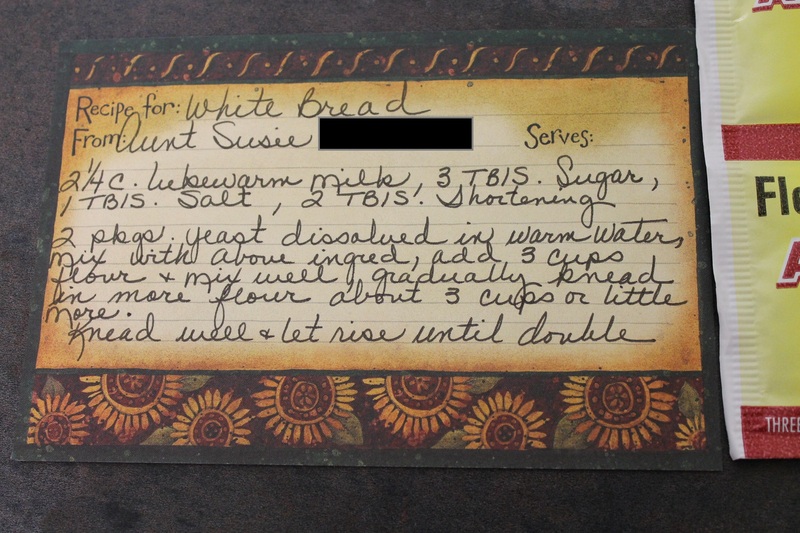 The recipe calls for 3 cups + 3 cups (or maybe a little more) of flour. In the end, I probably added closer to 6 1/2 or 7 cups. 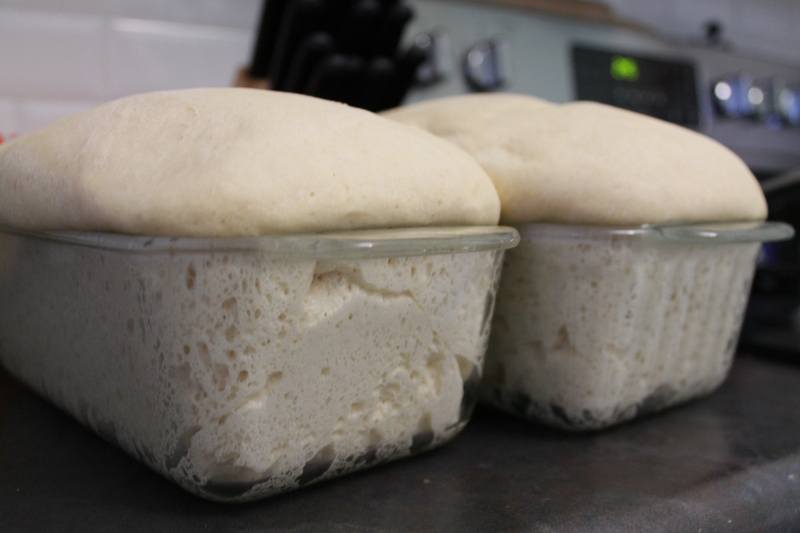 I’ve never witnessed dough rise so fast in my life. My kids and I left the house for a little bit and this is what we came back to. I made the mistake of setting the loaf pans too close together and two became one. I carefully separated the siamese bread, but the loaves did deflate a little. Here is the baked product. After I removed a slice to taste of course. 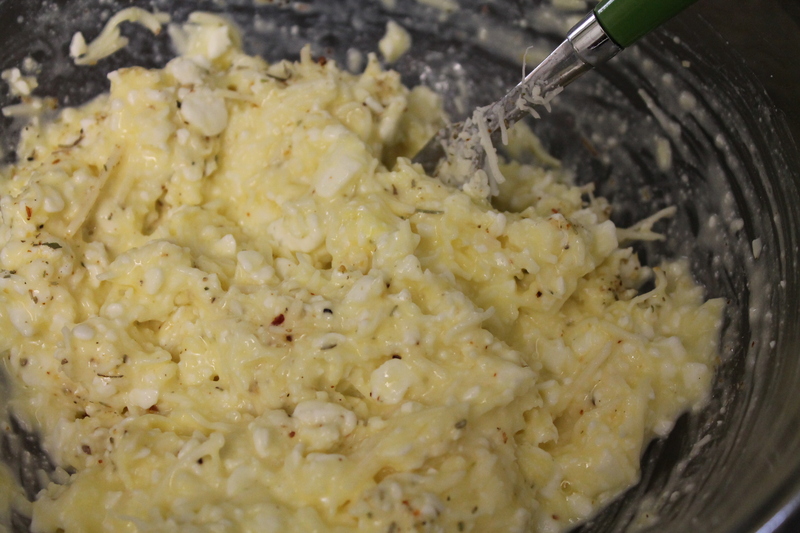 Slather that bread in butter and you have a deliciously warm and tasty snack or side! Definitely keeping this recipe. Of course, it is much better served hot and buttered right out of the oven. I did freeze the second loaf for later. I am thinking of using it to make french toast or something. Stay tuned. One of my favorite sections to read in the Sunday newspaper is Parade Magazine. I love random questions from readers on the first page. I always seem to learn something useless about a random celebrity I forgot about. And the Ask Marilyn column is sure to give me a great brain teaser. And it has great down home recipes from people like Marsha from Colorado. Tasty. Quite tasty. But how could it not be tasty with 2 cups of sugar. Am I right? I am sure it would be downright deliciously tasty if you added a cream cheese frosting, but I just couldn’t add that many more calories. That would have been overkill. So, we topped it with whipped topping and it was perfect. I don’t think I would call this a brownie; it was more cake-like to me. Bottom line: This is a keeper. And I’m making the cream cheese frosting if I ever make it for an event or family gathering. 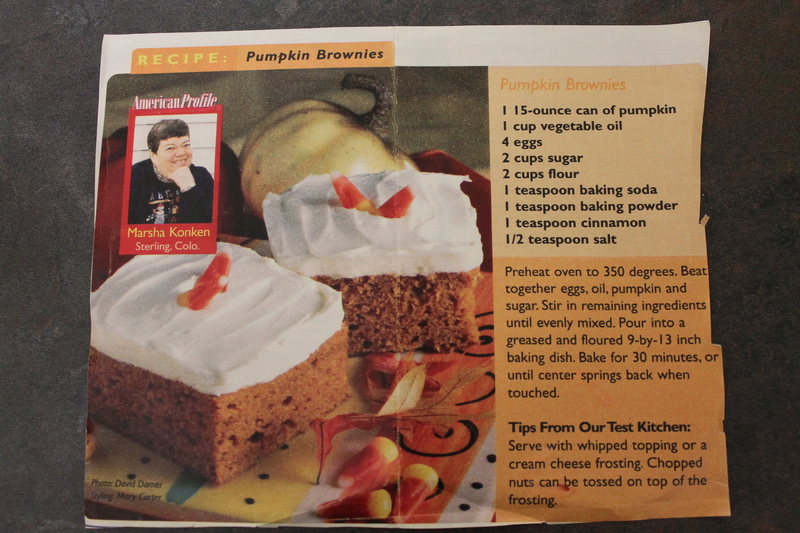 This recipe comes from a 2008 All You magazine. I love that it only makes 6 cupcakes. 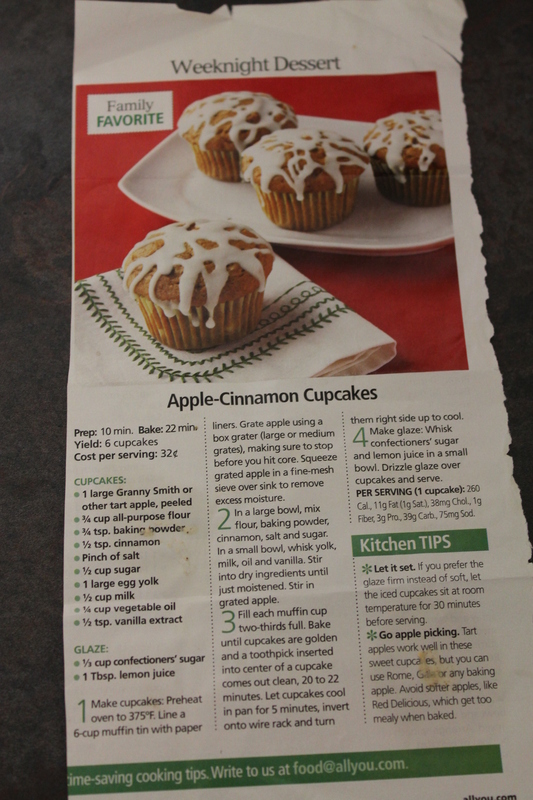 Actually, I used my big muffin pan and made 4 large muffins/cupcakes – one for each family member. The recipe calls this a cupcake, but I would classify it as a muffin. They were very moist and yummy, but next time I am definitely skipping the glaze. I didn’t think powdered sugar and lemon juice sounded like a good cupcake/muffin topping, but I did not doubt the recipe. I should have. It wasn’t thick and white like the photo, but clear, runny, and way too tart for my liking. Bottom line – the muffin/cupcake recipe is a keeper, but without the topping. Two recipes in one night! I am a daredevil. 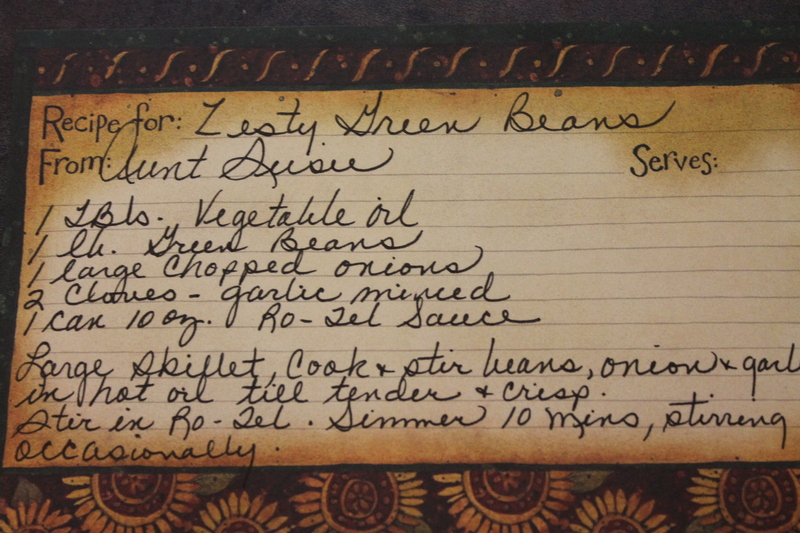 First up, is a Zesty Green Bean recipe. Simple ingredients. Note that it calls for Rotel Sauce, but I have no idea what that is. So I used Rotel tomatoes. I have a substituting problem. Deal with it. I thought I used a can of mild Rotel, but my family’s taste buds told a different story. Our mouths were on fire. Yowza. If I try this again, I would use plain old diced tomatoes. 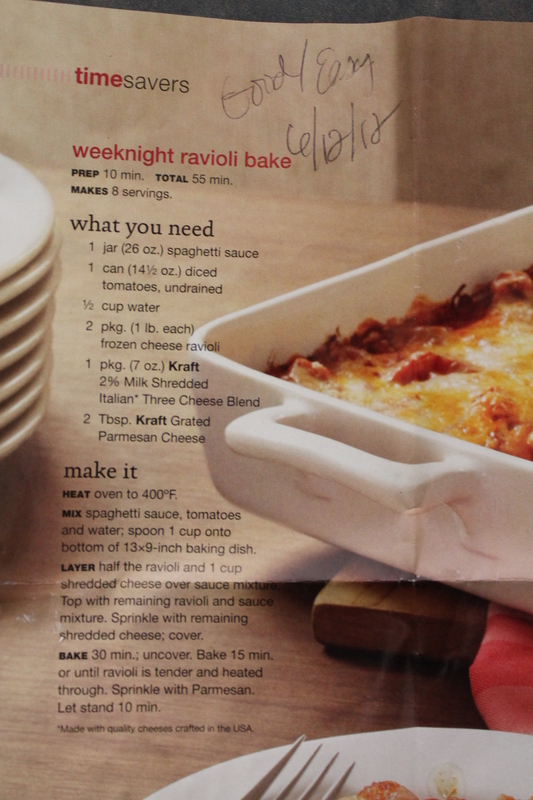 Second recipe – Baked Ravioli via a 2008 magazine. According to my notes, I last made it in 2012. It must have been good in 2012, because I kept the recipe, so I made it again. It was good this time, too. I used plain spaghetti sauce, so it lacked a little flavor. Next time I will use a sauce with garlic or basil to give it a little something extra. Bottom line – both recipes are keepers, with a few tweaks next time. 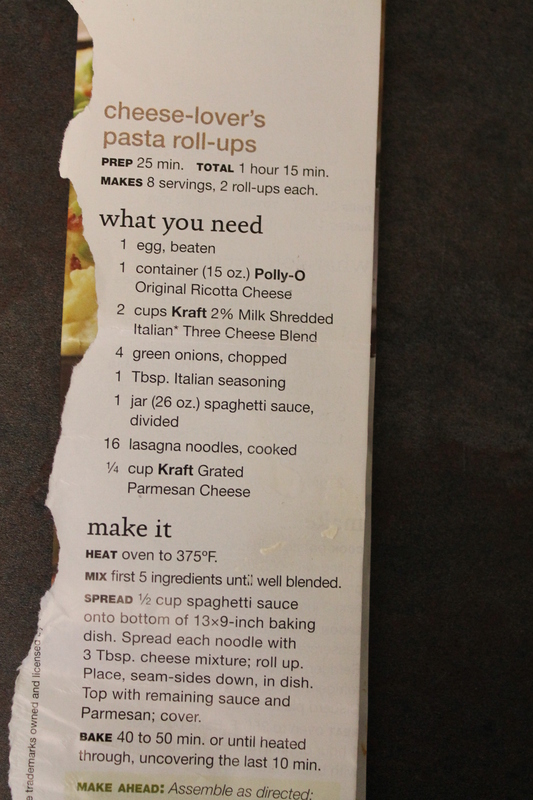 Ok, so I will admit this first recipe from the box is a bit of a cop out, but I have to start somewhere, right? My boys requested pancakes for dinner. I had several ripe bananas, so I decided to try banana pancakes – at least they would be eating fruit. Fruit = Healthy. My husband is the pancake master in our house. However, his recipe doesn’t contain bananas, and I have no clue how to alter a recipe. 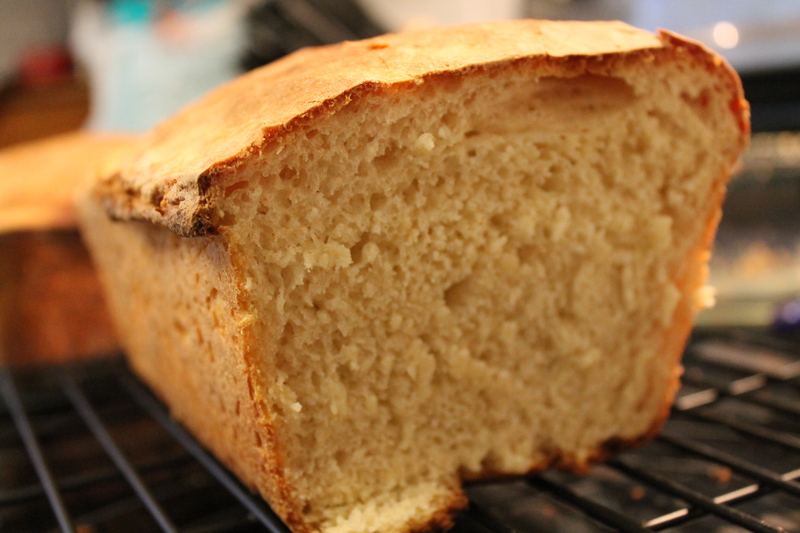 So, I consulted Google and found a fluffy banana recipe here to try. 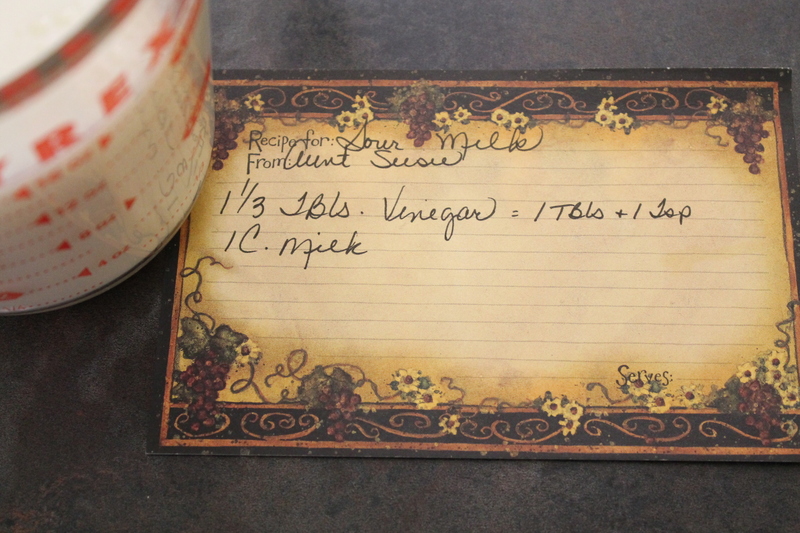 The first ingredient is buttermilk = soured milk = a recipe I actually have in my recipe box. Perfect. 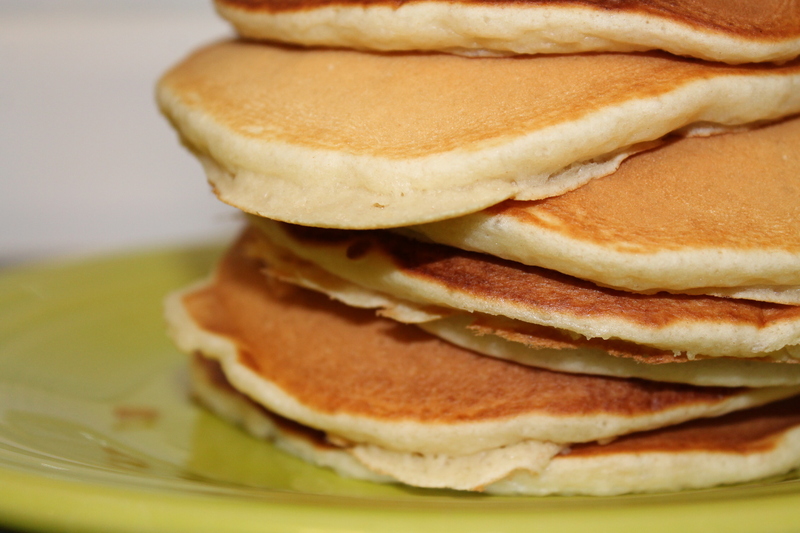 While the pancakes didn’t turn out as fluffy as I hoped, my boys said they were delicious. My 5 year old ate four and was asking for more. The recipe said it made 12 pancakes, but I made 24! Apparently I don’t make my pancakes large enough. 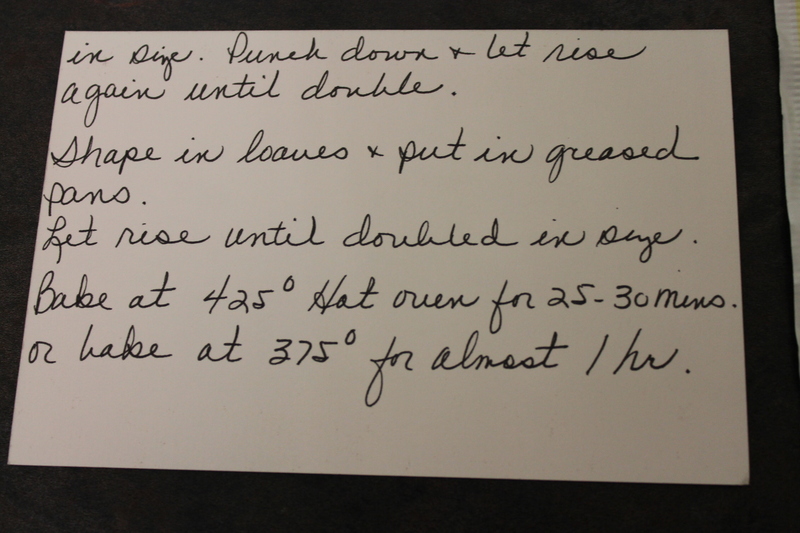 Let’s get back to the main point – the sour milk recipe is a keeper. I never buy buttermilk and this is a cheap and easy substitute. I like cheap and easy. The banana pancake recipe was decent, but not a keeper for me. I expected more fluff. Maybe I over-mixed. It wouldn’t be the first time.